For the first time ever in the history of Intel Pack4DreamHack, we brought a few cosplayers with us to DreamHack in Jönköping. These cosplayers were the proud winners of our very own Cosplay Contest and thus won a trip to the biggest gaming festival in the world. Included in that prize was a spot in the official DreamHack Cosplay Competition to compete with the professionals and the casuals alike. The Cosplay Competition at DreamHack has come and gone and we saw a lot of impressive entries, but none as good as our beastly Barbarian. We’re proud to announce that the winner of the official DreamHack Winter 14 cosplay competition is one of our own Packers: Diana “EnvoySoldier” van Nuenen!! The competition was tough and saw a lot of amazing cosplays from many different games like League of Legends, Diablo 3, World of Warcraft and Borderlands. 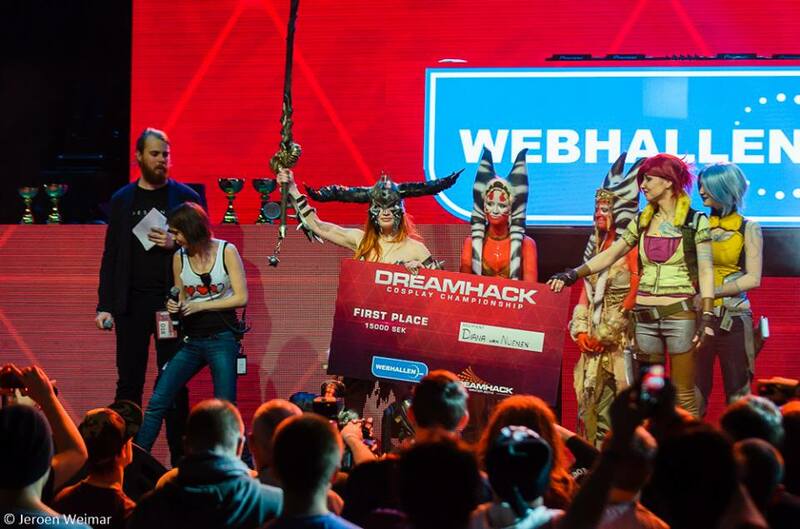 In the end, Diana managed to defeat all of them with her amazingly well done Barbarian cosplay from Diablo 3, and was crowned the Best Cosplayer of DreamHack Winter 2014. We congratulate Diana with her First Place in the contest and we´re proud to have brought this talented young lady with us on our Intel Pack4DreamHack trip to Sweden! If you want to see more of her amazing work, just check out her Facebook page and give it a like while you´re at it! Niet voor niets zo voorzichtig met al die spullen gedaan iig 😀 awesome awesome!